Many of the country's largest patient advocacy organizations receive funding from the pharmaceutical industry at a level that raises questions over potential conflicts of interest. Critics also wonder if that's the reason why advocacy groups have not joined lawmakers and the public in fighting high drug costs. 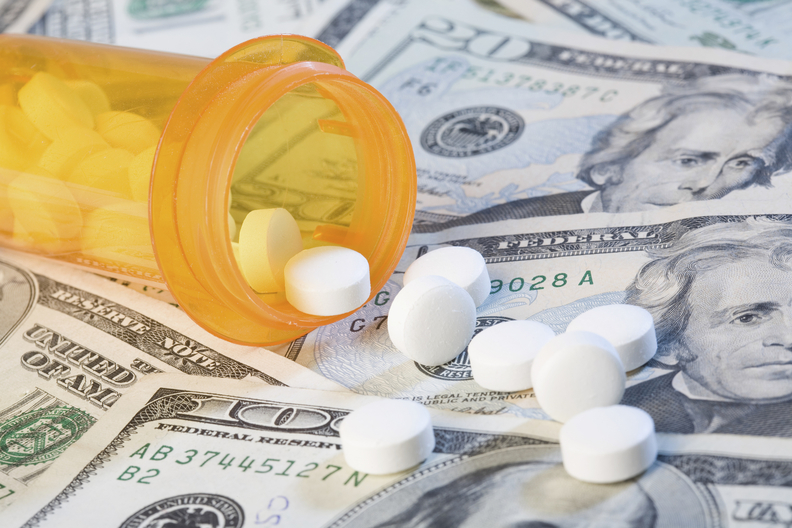 A new analysis published Wednesday in the New England Journal of Medicine found 86 of 104 patient advocacy groups with annual revenue of at least $7.5 million received money from the drug, medical device or biotechnology industries. Of the 59 groups that disclosed donation amounts, approximately 39% of the groups studied received annual industry donations totaling at least $1 million or more in 2016. “I think the concern...is that it will bias decision-making in some ways that are not in the best interest of the constituents the patient organization serve,” said study co-author Matthew McCoy, a post-doctoral fellow in advanced biomedical ethics at the University of Pennsylvania. Only one group explicitly stated that it did not accept industry donations. Among the 18 organizations that did not receive support, 13 did not disclose any donor information. Rick Claypool, research director for the president's office at Public Citizen said the group seldom note while lobbying that they do receive this funding. Nearly 20% of the groups that disclosed donation amounts reported that industry support accounted for at least 10% of their annual revenue in 2016. But nearly half the groups failed to give enough information for the study authors to determine just how much industry donations accounted for the groups' annual revenue. Claypool said it was likely the figures were underreported since patient groups are not required by law to fully disclose exactly how much industry support they receive. The National Health Council, which serves as an umbrella organization for patient advocacy groups, responded with a statement Wednesday disputing the study's findings. But the study would suggest industry support among patient advocacy groups is more widespread than even among physicians. By contrast, a recent analysis found 40% of all allopathic and osteopathic physicians received industry payments in 2013 totaling more than $474 million. The study's analysis of potential financial conflicts of interest could have limitations. McCoy pointed out that most organizations reviewed did not provide exact figures for their reported donations. In addition, only 10% of patient-advocacy organizations revealed how they used the industry donations. But the conflicts of interest could go beyond financial donations. As many as 37 groups reported that at least one drug, device or biotechnology executive sits on their governing board. Four groups reported having at least one former industry executive on their active board while 12 of the 104 organizations reported a current industry executive held a leadership board seat. A quarter of the groups provided no information regarding the employment of their board members. The study concludes that a sunshine disclosure law should cover industry payments to patient-advocacy organizations.